Sean Thurston, JEC service manager, enters customer data into MobiliForms. He estimated that the software saves the company $500,000 a year. iBusiness Technologies’ MobiliForms solution “saves the company in excess of $500,000 annually,” said JEC Service Co. Service Manager Sean Thurston, by increasing labor efficiencies in the field and office. Since the company adopted MobiliForms, field staff complete their startup checklists, project management records, work orders, and timesheets on Apple iPads® for instant transmission. Thurston estimated that JEC’s 20 field technicians save at least an hour a day using this approach, which quickly adds up to substantial savings for the business. 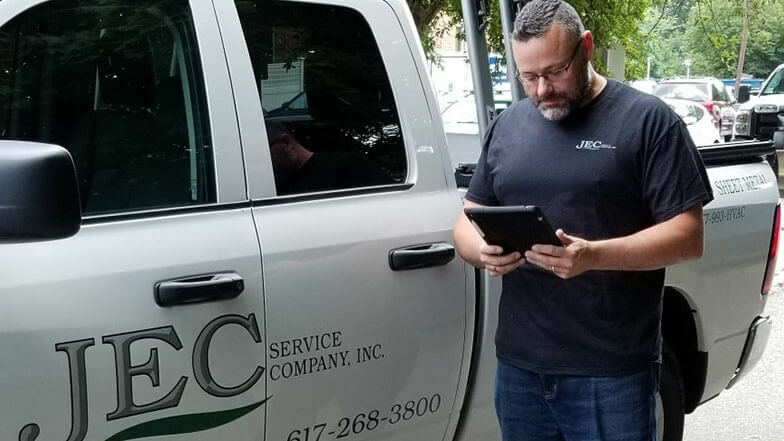 A thriving HVAC, mechanical, and sheet metal contractor based in Waltham, MA, JEC’s leadership knew that going paperless was essential to their mission and continued growth. 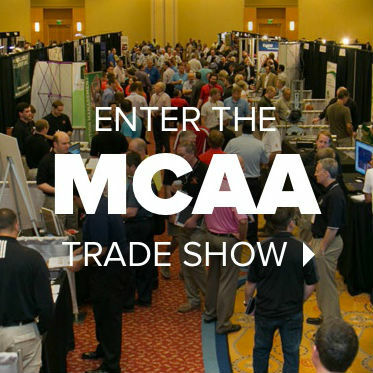 After carefully evaluating the options, they selected MobiliForms because of its strong track record among MCAA and MSCA members and because it did not require them to change their software. “We couldn’t live without it,” said Director of Operations Paul Donato. “It paid for itself quickly, and the functionality is incredibly valuable for our 20-plus field techs.” Real-time data, tight record-keeping, and historic documentation positively impact operations for the entire company. MobiliForms’ cloud storage has proven to be an essential collaborative tool for JEC. In addition, the company found it easy to deploy because it did not require any changes to their existing backend software. For more information, visit ibusiness-tech.com or contact Steve Metzman at 215-850-5565 or steve.metzman@iBusiness-Tech.com.